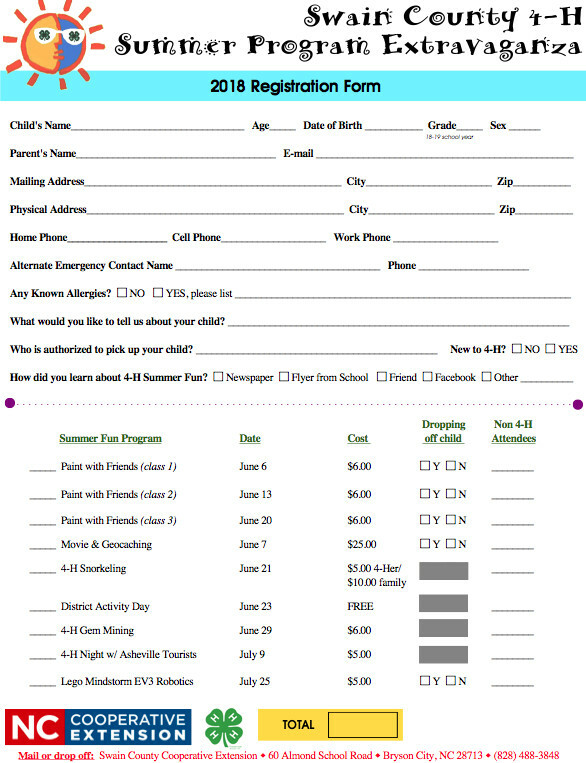 Swain County 4-H announces the 2018 Summer Program Extravaganza lineup! Inside there is something for everyone (ages 5-18). See what activities interest you! You do not have to be a current member of 4-H to participate, but new member 4-H paperwork will have to be completed. Joining 4-H is always FREE! Registration NOW OPEN 8:30 a.m. to 4:30 p.m.
You may register for programs up to one week prior to event, unless otherwise noted. Please call to make arrangements. First come first serve on limited events. 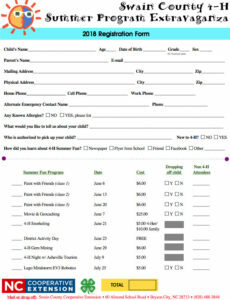 Registration information below. 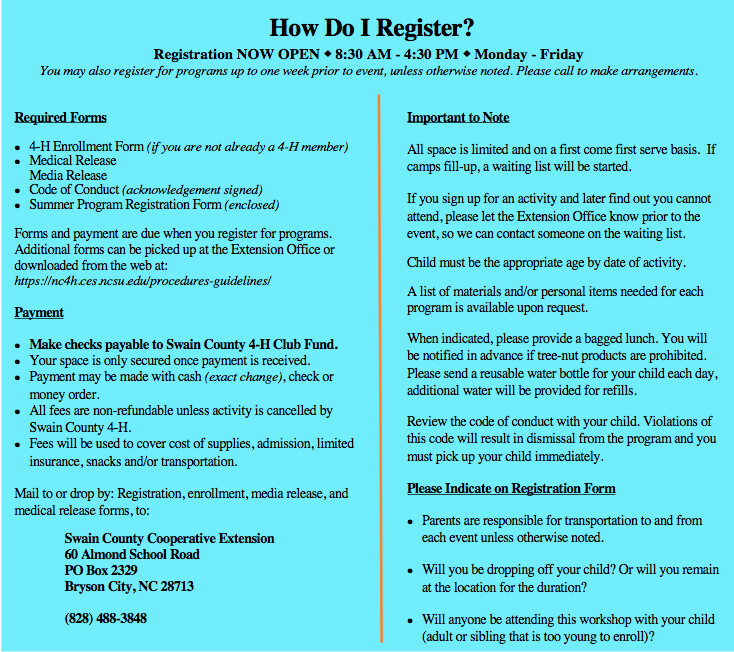 If you have any questions call the Swain County Cooperative Extension Office at 488-3848. Click on program name for more information.